The National Institute for Occupational Safety and Health in collaboration with the SafetyNet Centre for Occupational Health and Safety Research (Memorial University) and the Food and Agriculture Organization of the United Nations (FAO), will be hosting the 5th International Fishing Industry Safety and Health Conference (IFISH 5) in St. John’s, Newfoundland and Labrador, Canada from June 10-13, 2018. Abstracts can be submitted electronically until 31 January, 2018. 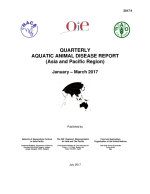 Since 2009, tilapia aquaculture has been threatened by mass die-offs in Israel and Ecuador, which have been caused by a novel Orthomyxo-like (RNA) virus named Tilapia lake virus. 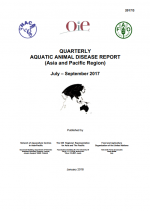 This has been reported as a newly emerging virus that causes syncytial hepatitis of tilapia. 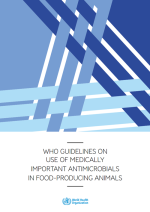 An emergency regional consultation was held in Guangzhou, China from 27-28 September 2017 to discuss and plan actions on the overall prevention and management of this disease. 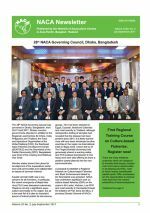 These are the proceedings of a symposium convened by the ICAR National Bureau of Fish Genetic Resources, Lucknow, India, from 20-21 April 2017. 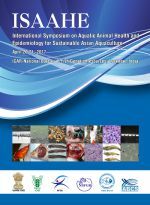 The symposium included presentations from national and international experts on aquatic animal epidemiology and related disciplines to address a range of risk factors that catalyse horizontal spread of disease, spread of transboundary pathogens and increased disease susceptibility, thereby contributing to strengthening of surveillance efforts, especially in the Indian context.